UChooseCO kicks off today in Colorado Springs and Denver. 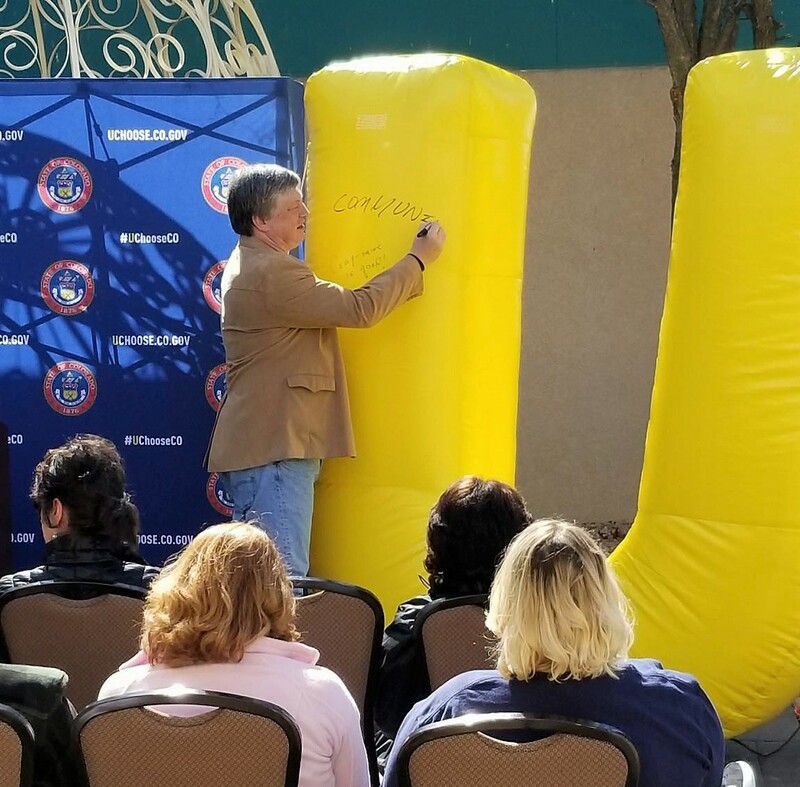 DENVER, April 3, 2018 -- An 8-foot inflatable U, a small wooden U and Coloradans who are U's will take center stage today with Colorado Secretary of State Wayne Williams to talk about an election campaign aimed at helping unaffiliated voters navigate their new role in primary elections. Williams is holding events this morning in Colorado Springs and this afternoon in Denver after first launching the UChooseCO campaign in Grand Junction last week. Coloradans in 2016 approved Proposition 108, which for the first time allows unaffiliated voters to participate in primary elections without affiliating with either the Republican or the Democratic party. Unaffiliated voters can go online and choose to have a Democratic ballot or a Republican ballot mailed to them, but that isn't a requirement. Those who don't indicate a preference will receive both the Democratic and Republican ballots, but they will be instructed to vote just one ballot for the June 26 primary. If they vote both, neither will count. And that's a first, Williams said. “We have never to my knowledge at any point sent you a ballot and said, ‘Don’t vote it.’ Never," Williams said. That's why the secretary sought and received legislative approval to launch the educational campaign. 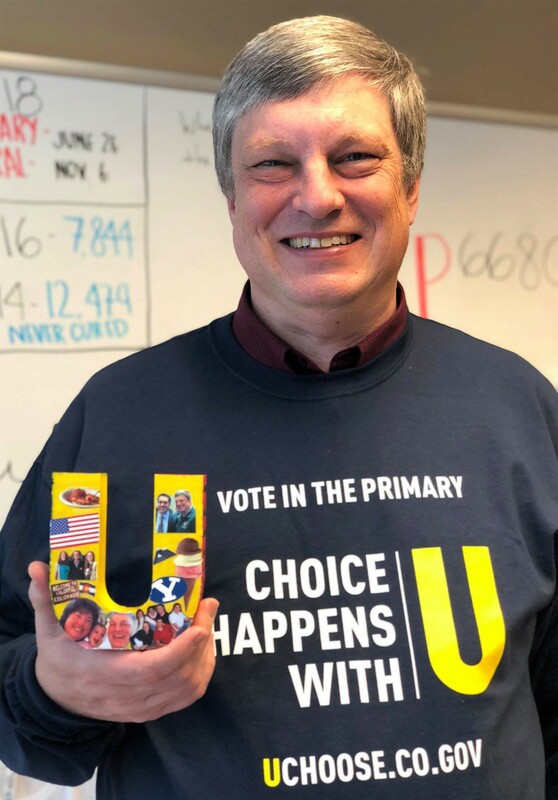 The Secretary of State's office contracted with Forté Advertising to target active unaffiliated voters with a mostly digital "UChooseCO" campaign, although some unaffiliated voters will receive mailers. The Colorado Springs event is scheduled for 10:30 a.m. at Pioneers Museum, 215 S. Tejon St. The Denver event starts at 2 p.m. on the west steps of the state Capitol. Among the speakers at today's news conferences will be Richard Skorman, president of the Colorado Springs City Council, and state Sen. Cheri Jahn of Wheat Ridge. Both are unaffiliated, Skorman since 2002 and Jahn since December. Unaffiliated voters are the largest voting block in Colorado, the latest voter registration records show. Of the state's 3.2 million active voters, 36 percent are unaffiliated, 31 percent are Democrat and 30.7 percent are Republican. The campaign has its own web page at UChoose.co.gov and Facebook page, Twitter account and hashtag, #UChooseCO. Secretary of State Wayne Williams writes the word "community" on the yellow U displayed at the UChooseCO news conference in Grand Junction. Secretary of State Wayne Williams displays the wooden U his staffers decorated for him, which they said was based on his favorite Fs, family, faith and freedom. For fun they added another F, food.